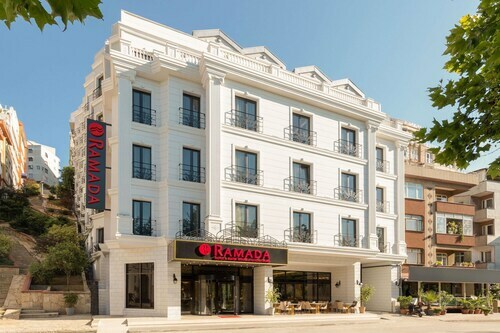 This family-friendly Eyup hotel is located near the airport, within a 15-minute walk of Eyup Sultan Mosque and Feshane International Fair Congress and Culture Center. 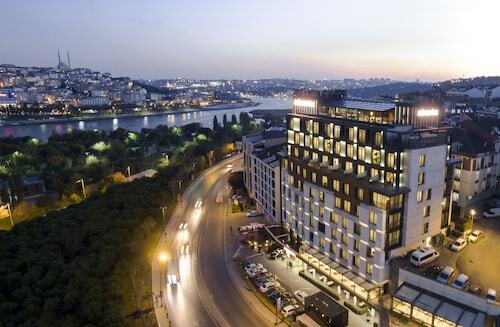 Halic Congress Center and Golden Horn Bridge are also within 2 mi (3 km). Eyüp Cable Car Station is 7 minutes by foot and Piyerloti Cable Car Station is 15 minutes. Excellent hotel and superb service. Room was beautiful and very comfortable. Only downside was the breakfast which was fairly average, otherwise beautiful hotel, one of the best i've stayed at. will definitely visit again! 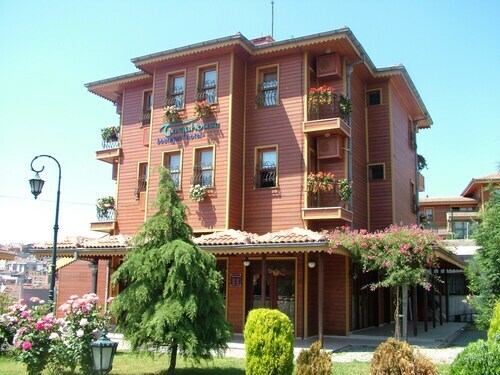 Situated in Eyup, this hotel is within 3 miles (5 km) of Eyup Sultan Mosque, Chora Church and Isfanbul Theme Park. Forum Istanbul is 3 mi (4.9 km) away. Piyerloti Cable Car Station is only a 4-minute walk and Eyüp Cable Car Station is 12 minutes. 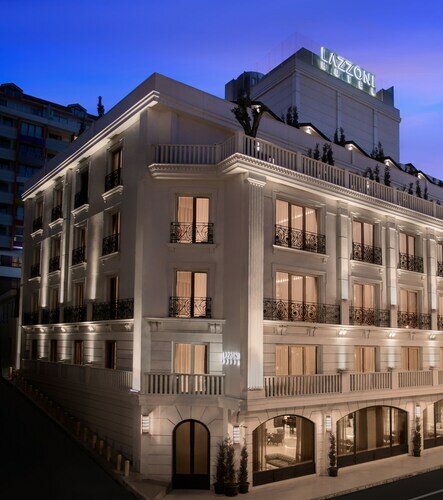 Located by the sea, this family-friendly hotel is within 6 mi (10 km) of Suleymaniye Mosque, Grand Bazaar and Basilica Cistern. Taksim Square and Hagia Sophia are also within 6 mi (10 km). 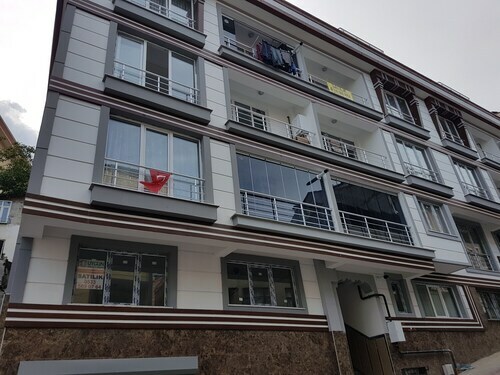 Situated in Eyup, this apartment building is within 3 miles (5 km) of Eyup Sultan Mosque, Chora Church and Isfanbul Theme Park. 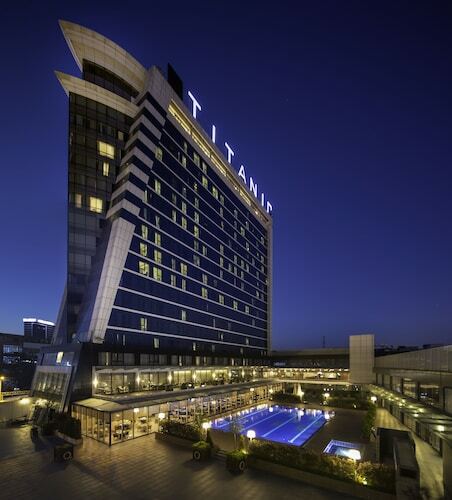 Forum Istanbul is 2.6 mi (4.2 km) away. Piyerloti Cable Car Station is 13 minutes by foot and Eyüp Cable Car Station is 13 minutes. Like the idea of having Eyup Sultan Mosque just a short amble from your doorstep? You can make it happen with ebookers, which has a number of tools for allowing you to find hotels near Eyup Sultan Mosque. Our service allows you to filter your search for the best accommodation that’s close to major attractions and landmarks, including Eyup Sultan Mosque. You can survey the relevant hotels on a detailed map of the local area, so you can see exactly where they are in relation to Eyup Sultan Mosque. Our concise hotel descriptions, which set out the room types and amenities to expect from each place, will let you make an informed choice in no time. Wherever you happen to be travelling from, you can use ebookers to plan the journey to your Eyup Sultan Mosque hotel. For one thing, there’s the wide array of flights you’ll be able to access through our service. These are constantly updated, ensuring you get the best flight available at the time of booking, and you’ll be able to compare prices at different times and from different airlines. You can also check out the car hire deals available through ebookers. Not only will this mean you can drive from the airport to your hotel near Eyup Sultan Mosque without worrying about public transport, but you’ll also be able to explore the whole region at your leisure. Simply relaxing and lounging at your chosen accommodation is an activity in itself when you’re on holiday. But you’ll also find plenty to keep you busy once you’ve unpacked and are all set to explore beyond your Eyup Sultan Mosque hotel. To give you a head start, you can use our Things to Do tool to see what attractions are close to Eyup Sultan Mosque. It’s a good way to gain inspiration and ensure you really make the most of your stay.